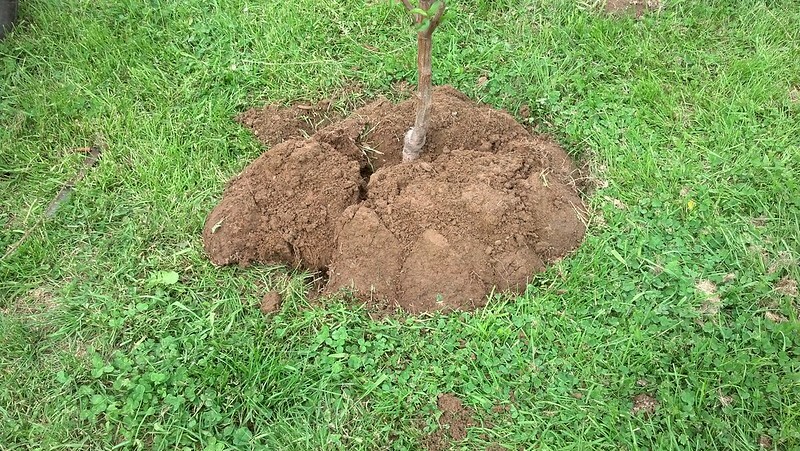 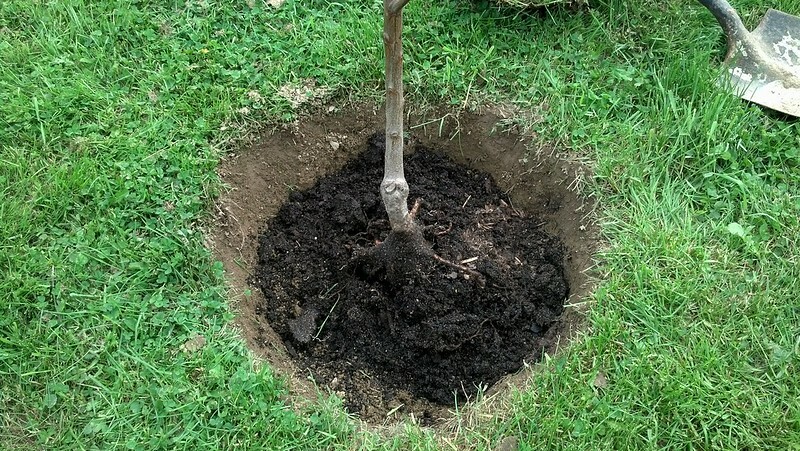 Here is how we go about planting fruit trees. 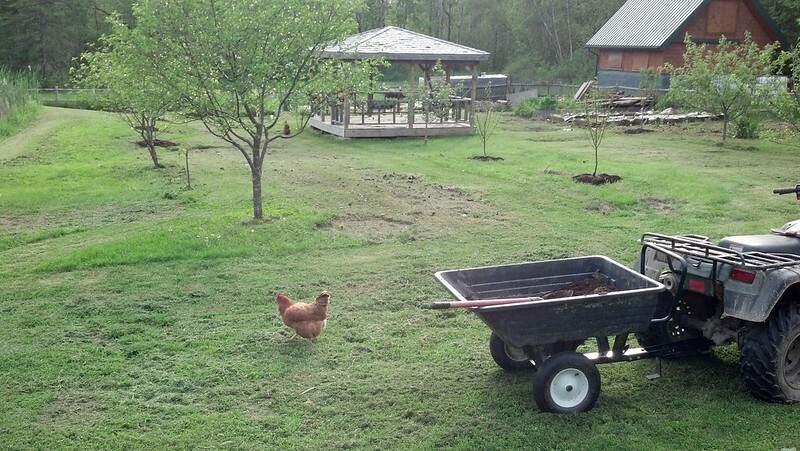 We have been battling the rain over the past month and finally had a break in the weather over the last couple days. 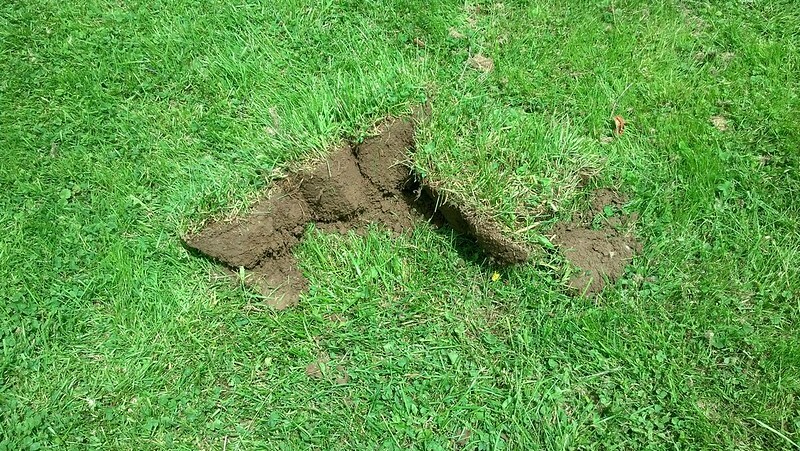 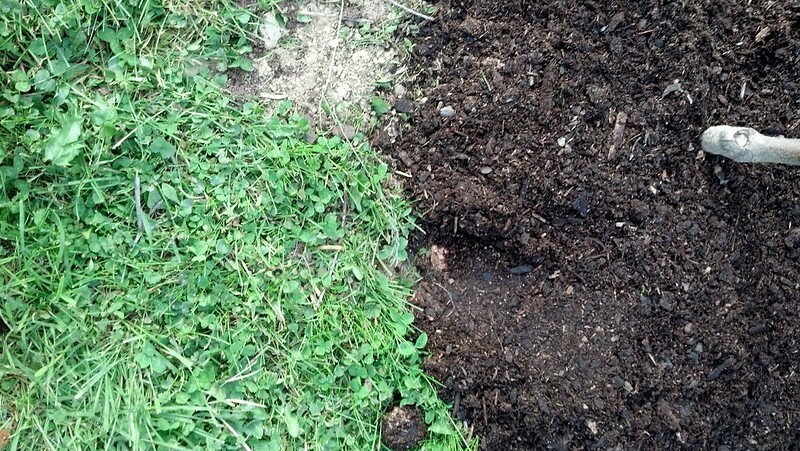 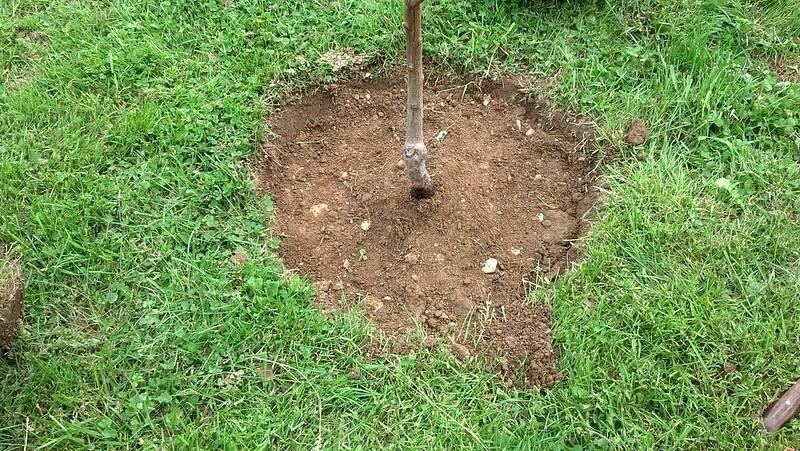 After setting them in place where I wanted them, I cut into the sod about double the width of the root ball. 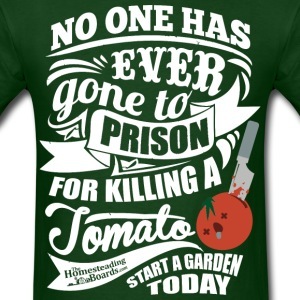 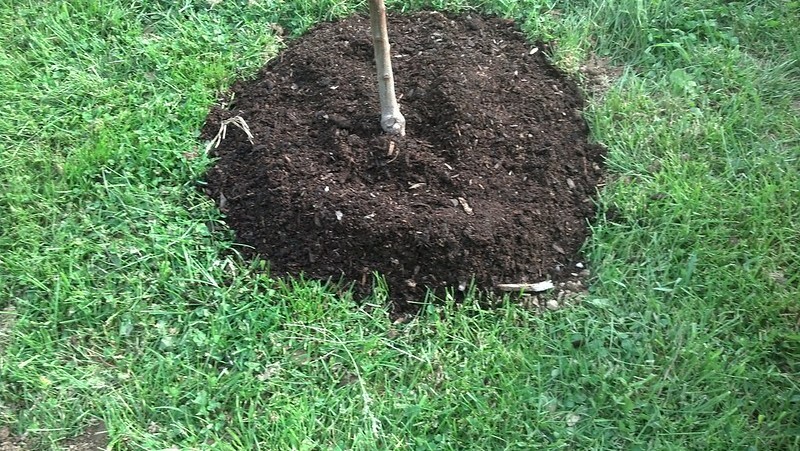 Now most people recommend digging a whole twice as deep and then filling the bottom with compost, I don’t like doing that, most trees comes packed in pretty fertile soil and I am always afraid of over doing it on the nutrients for the trees. 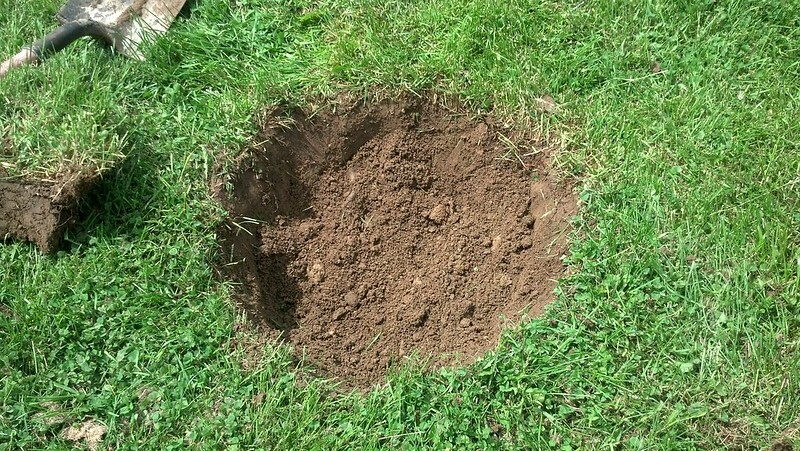 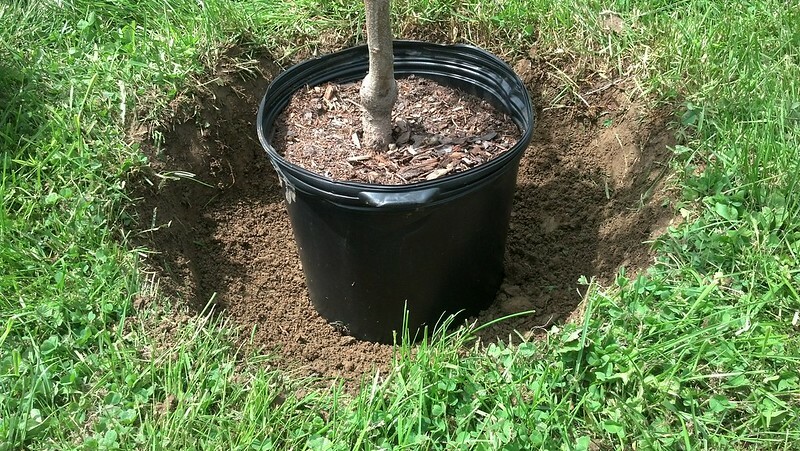 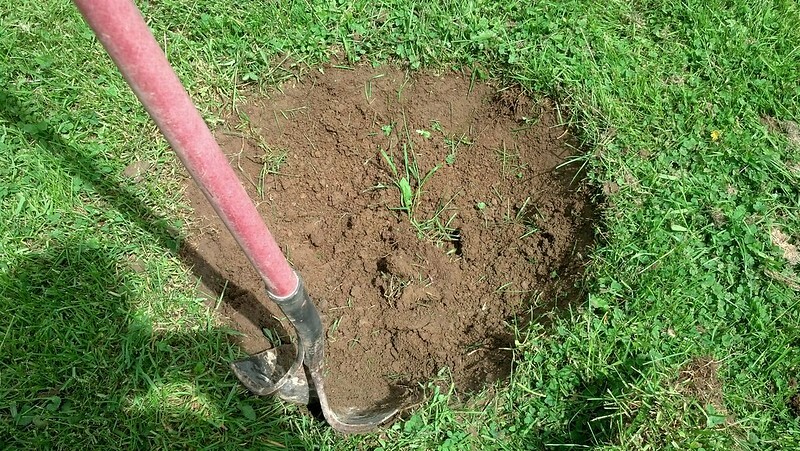 And gently compact it down forming a nice sturdy base with no need for spiking the tree, I don’t like spiking a tree anymore so that the trees have a chance to move with the wind allowing the roots to work in the soil better and establish a sturdier connection with the soil. 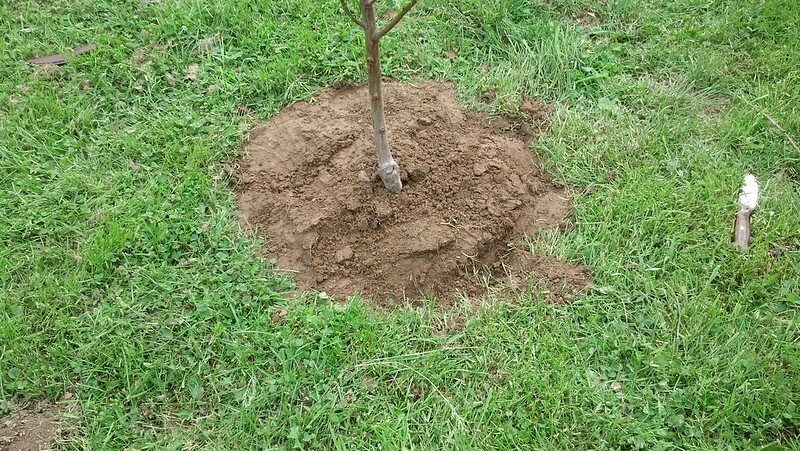 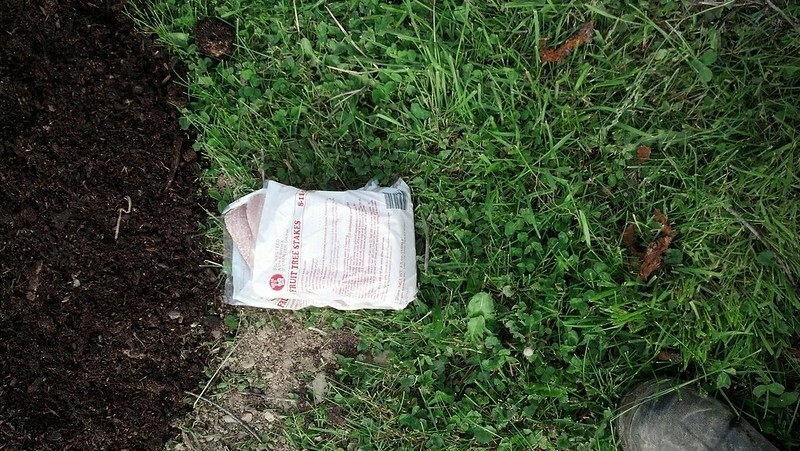 Now fertilizing is still important, instead of putting it in the bottom of the hole, I utilize fruit tree spikes.